HomecommentaryThe Nikon Z7 vs Sony A7. Will this new camera compete with Sony? NEW Teaser Video. The Nikon Z7 vs Sony A7. Will this new camera compete with Sony? NEW Teaser Video. 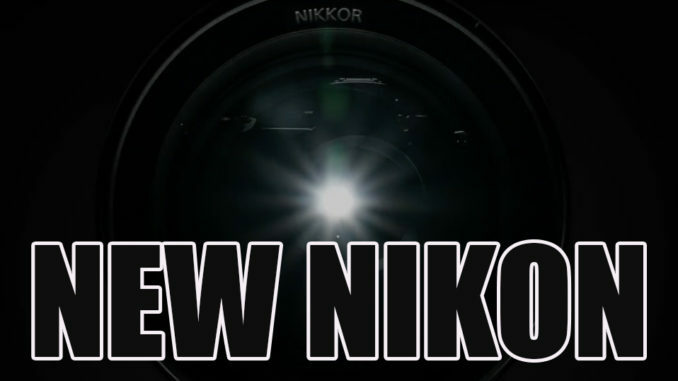 Nikon has released a new teaser video for their upcoming NEW Mirrorless System. Right off the bat my heart sank a little when I saw the control dial up top. Instead of professional dials, multi level dials (think Df) or pro controls it seems Nikon MAY HAVE went the way of the “Dummy Dial” which is often found on cheaper, less professional cameras. When I say “dummy dial” I do not mean it is for “dummies” but it tells me Nikon did not make this for the enthusiast or pro. More for the crowd who may be switching from an entry level DSRL to mirrorless. In some cases those dials are useful but when you see one with those modes on a camera you know it is more of an entry level kind of thing, and if so, I hope the price point reflects this. If Nikon brings these in at $3000 or more and they are not giving the enthusiasts or pros the control they want, it will not sell well. If they price it in line with the Sony A7III at $2k or under then I think they have the potential to do quite well. If you are wondering, these dials I speak of are the ones that allow you to turn the camera in to sports mode, landscape mode, portrait mode, all with a switch of a dial. IF THAT IS WHAT THIS IS, well, it is odd to see it on this camera. The Nikon V1 had the dumbed down dial, and while I still LOVED THE HECK out of that camera I expected it on that level of a camera. For it’s size, the V1 was meant to be tiny, solid, and quick to use. The new mirrorless Nikon is teasing is something bigger, badder, faster and better but it may fall short of my, and many others expectations. Maybe. No one knows yet but we will soon. It MUST be fast, it must have great video specs, it HAS TO HAVE amazing Auto Focus for still and video. It MUST have long battery life, dual card slots, excellent ergonomics, a nice solid high res EVF and be great in low light (as I think it will be). If it falls short on any of these, SONY WINS again. Also, my guess is that Sony will be announcing their A7SIII VERY SOON to combat the Nikon and Canon announcements.So with the old V1 I expected shortcuts to the ergonomics and control as that was what that camera was all about. Small, fast, discreet, silent. This new Z series, as they are rumored to be called are expected by the masses to be something BETTER than what Sony already offers us. So if they fall short, and leave even half of us disappointed it may spell trouble for Nikon in the mirrorless wars right out of the gate. They may still be afraid to make a body as solid as the D850 in mirrorless form, as they feel it may hurt their DSLR sales. I hope they are going to surprise us and the new bodies will be just as solid in build, just as wonderful in control as their pro level DSLR’s but after seeing the new teaser I was a little worried. Nikon doesn’t need another camera that is dumbed down, they need something that will send a message to Sony, but the question is, are they capable of doing that? Is Sony so far ahead of the game that Nikon or even Canon can not catch up? SO MANY have switched to Sony from N&C, and it’s all out there to see. Sony has been winning the Mirrorless game for years and now is the time that they either see some competition or just turn it up to high gear and take a bigger lead. I will say that my recent journey to a Canon 1dXMKII has been awesome. Yep, I own a Sony A7III, Hasselblad X1D, Leica SL and Olympus EM1 MKII (going to have to thin it down soon) mainly because it is what I do. I talk about and review cameras. So I have to know what all brands are doing, and I end up buying the bodies I love. But this Canon has surprised me with it’s amazing build, speed, video quality, stills quality, low light ability and experience so much that I added a 6DII to the stable to be my run and gun video camera. I will talk at length soon about the three reasons why I chose the 6DII (and am VERY happy with it when other reviews have trashed it) for this purpose over the A7III. But Nikon is getting ready to unveil the new Mirrorless system. My hopes have been HIGH because the stakes are HIGH. This is the moment we can all look back on and say “Nikon KILLED IT” or “This is when Nikon Lost the War”. 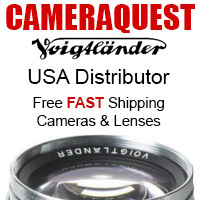 This week we will know the details and I plan on ordering one on day one, as I NEED to review this camera! The new Leica M10-P is Here. The quietest mechanical shutter of any camera. After your initial comments on the Nikon Z6, it seems like Sony is still the place to be for now. If you were to purchase a mirrorless all purpose camera of that, class including wildlife and birds-in-flight, does the Sony A9 and A7III hold the pole position, while Nikon Z6 and Z7 are in the back seat? For wildlife and birds in flight, in mirrorless, the Sony A9 or A7III would be the ones I would go for. The A7III is highly capable and has tech from the A9 focus system in it. Keep in mind I have not used the Nikon’s but I see no one saying the Af competes with Sony. The Sony A7III has a lower res EVF and LCD over the Nikon but thats all I can see. These new Nikons use XQD cards for storage (with CF Express as secondary slot). That should tell you something about the camera’s speed capabilities, at the very least. The only other current Nikon cameras that use XQD cards are the D5 and D850; both professional models. So the Z6/Z7 are not consumer mirrorless models by any stretch of the imagination—definitely prosumer with the ability to be used by professionals, I’m guessing. Hey Steve, check out this link to Nikon rumors, it shows the top side of the camera which shows the dial. So no worries, it doesn’t have sports, portrait, landscape mode etc. I do not think Sony care about competing with Nikon. Sony will make the sensors in the new Nikon camera. Go buy a Nikon , Go buy a Sony – whatever, Sony wins. Sony and Nikon camera bodies are quite different. This is deliberate. No point in Sony making a Nikon-like body when Nikon already make one. Sony DO care about competing with Canon. By effectively having Nikon as a distributor for their sensors, Sony know that when Sony bodies and Nikon bodies sales are combined, they are taking the fight to Canon. The D850’s sensor is not made by Sony, it’s a Towerjazz sensor (same manufacturer of the Leica SL sensor). Nikon has designed and developed its own sensors in the past (D3, for example). I’m thinking it will be along the lines of a D750. By that I mean, it will have high-level performance with the “consumer-style” controls. This doesn’t bother me because I think the consumer level Nikons (at least the upper tiered ones) have plenty of direct control at hand. If you don’t want to use auto, put it on A or S or M and forget the Auto is there. To heck with these Z’s. Can we just talk about the new Zeiss RX1RIII?!?! When they mentioned the lightweight, the reliable exposure and the ability to take spontaneous snaps, it sounded like a compact camera. Seeing the green setting on the dial made me think of an entry-level camera. On the other hand, Nikon is teasing a 1.2 or better 50mm for mirrorless. 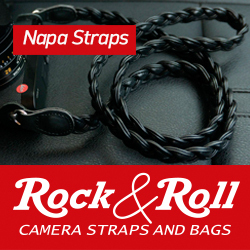 So maybe there are two cams, one for pro use and one for the hobbyist? If you get the new Nikon Z7, please check the rangefinder camera lenses on it. I’m looking forward to see your review. Thanks. Oh I will be ordering it on day one to be sure I get one to review. If and when there are adapters for RF glass I will try it. The rumor mill has gone into high gear over this camera. I recently read that its sensor will surpass the one in the D850. I’ll believe that when I see it. Also read that it will come with an F-mount adapter so you can use all of your existing Nikon glass with it. That I believe. I haven’t shot with a Nikon for a few years, but I still have a bunch of great Nikon lenses. If Nikon’s new mirrorless lives up to the hype I may be a Nikon shooter again. My piggy bank will hate me for saying that.